You've done it all. Rolled through the days, slipped through the nights, covering the country from end to end... all on a motorcycle. Experience tells you what works best for you in a jacket, and you know instinctively when it's done right, with old-fashioned quality and craftsmanship. That's why you'll take one look at a Bates Deluxe Highwayman and say, "That's the one." The Deluxe Highwayman (shown left) incorporates additional features such as a change pocket, larger backplate, side laces for fit adjustment, a detachable fur collar, and a detachable soft belt with snapping belt loops for easy removal. But for a look of raw excitement, order the optional 10 oz. basketweave belt (shown) with heavy-duty, hook-type brass buckle as the ultimate finishing touch to your Deluxe Highwayman Jacket. Your years behind the handlebars will tell you at once it's the last word in warmth and toughness... in the look that motorcycling's always been about for you! 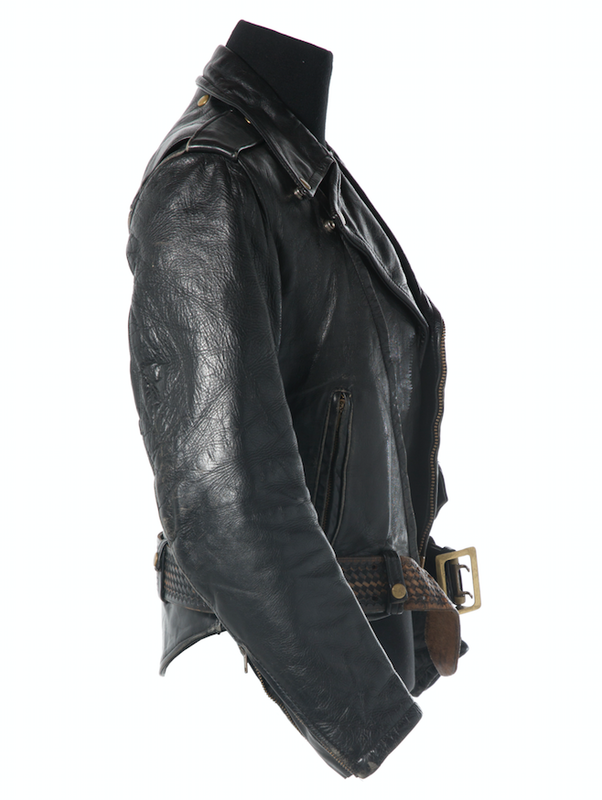 The Highwayman II men's jacket is one of our most popular -- and copied -- styles. The CHP styled jacket is the ultimate version of the look that lives forever. 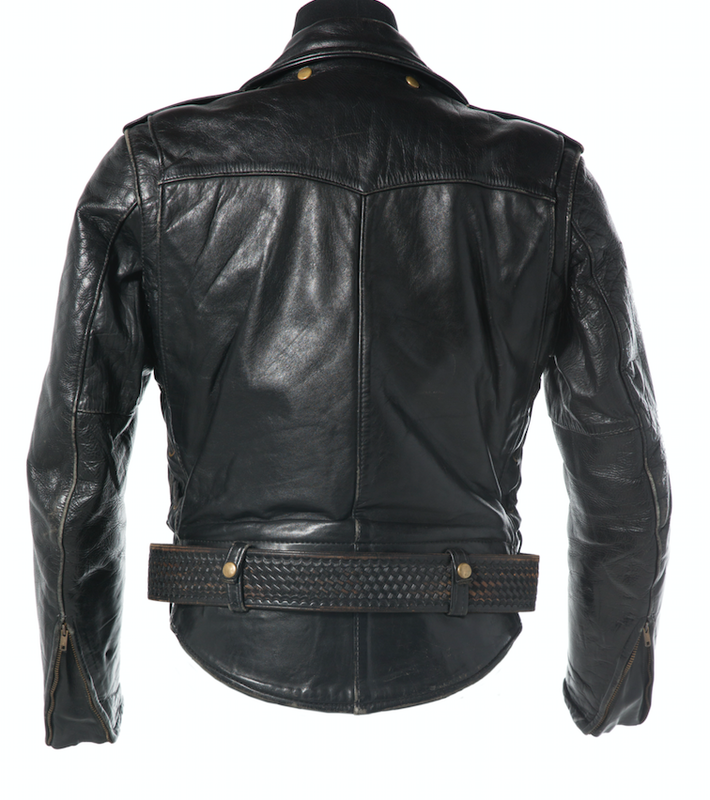 Jacket features include action-back, extended back, padded kidney area, heavy duty Sam Browne basketweave style belt (soft belt optional), concealed brass zippers, leather side laces and insulated lining throughout.